Known for its spacious and convivial catamarans that are as generously spaced outside as they are well-appointed indoors, Lagoon is one the world’s leading manufacturers of luxury yachts. The brand’s constant push for avant-garde designs and technical innovations that deliver on performance, safety, and reliability at sea has allowed for Lagoon to achieve a legendary status in the yachting world. In the Philippines, Lagoon catamarans are represented by Europa Yachts, the premier yachting authority in the country. Lagoon was founded in 1984 in France as a subsidiary of Jeanneau Technologies Avancées. In 1996, the company was acquired by the celebrated yacht conglomerate Groupe Bénéteau, which then granted the honor of further developing the brand to another one of its renowned subsidiaries, the Construction Navale Bordeaux (CNB). The DNA of the Lagoon brand today is one that is characterized by excellence and elegance, which, in turn, draws from the combined expertise of these two stellar names. After all, CNB is a world leader in pleasure sailing crafts, while the Beneteau Group is a consistent trailblazer in the leisure boat construction industry. Together, world-class talents from these specialist boat builders are responsible for creating outstanding vessels that combine creativity and attention to detail with industrial precision and superior engineering. The overall look and feel of Lagoon of catamarans repose on the commitment of its design teams to constant communication and innovation. Marc Van Peteghem and Vincent Lauriot-Prévost of VPLP Design, the French firm responsible for Lagoon Catamarans’ exterior naval architecture, has always endeavored to make each Lagoon catamaran different while making their lineage very clear at the same time. They give priority to life on board, creating spacious and enjoyable living areas while also creating room for all the necessary elements that will make each vessel safe and seaworthy. On the other hand, Italian studio Nauta Design, headed by Marc Pedol and Massimo Gino, has continuously created Lagoon interiors that place emphasis on congenial atmosphere, sense of spaciousness, superior ergonomics, and harmonious continuity with the exteriors. 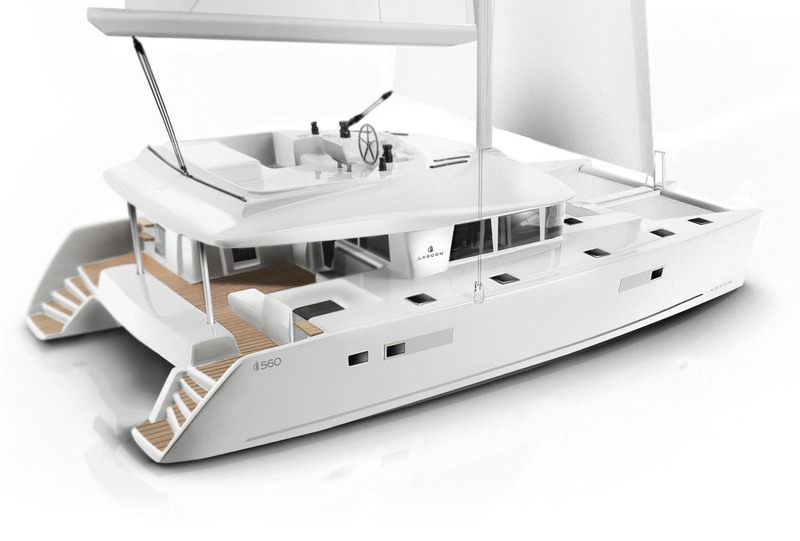 This balanced and concordant approach to interior and exterior design are all very apparent in every one of Lagoon’s sailing yachts and motor yachts, whether it’s the world-best-selling Lagoon 360 catamaran, the versatile offshore cruiser Lagoon 630 MY, the award-winning Lagoon 50, or the massive but elegant Lagoon Seventy7.